In a recent interview, Sammie admits split with Arjo Atayde, citing it was a mutual decision. 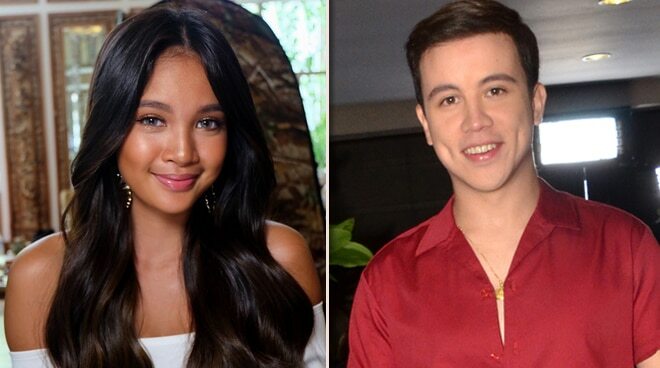 For the first time ever, GirlTrends member Sammie Rimando chose to break her silence over the breakup rumors involving her and Arjo Atayde. In a recent exclusive interview with Hotspot’s Dj Jhai Ho today, the 20-year-old performer confirmed that she, indeed, has called it quits with the Kapamilya actor. “It’s for the better naman po. Napagdesisyunan namin na, sa ngayon, focus muna ako sa career ko din. Siya din, happy rin ako para sa kanya. Ang dami niyang projects. Syempre, andoon pa rin po yung full support ko para sa kanya,” explained Sammie. In fact, Sammie shared that she and her ex-boyfriend still occasionally check up on each other, only this time, as friends. This came in following speculations that Arjo has been going out with Kapuso star Maine Mendoza after the two were allegedly spotted together in a restaurant in Makati, according to a report by PhilStar. Just this week, the rumored couple has once again made the headlines for apparently flying together. However, both Arjo and Maine, who until now choose to keep mum regarding the real score between them, have yet to react to the news. Meanwhile, Sammie likewise refused to give a statement when asked for her thoughts on what the netizens have since dubbed the #ArDub.